Neckwear for the viking at heart! 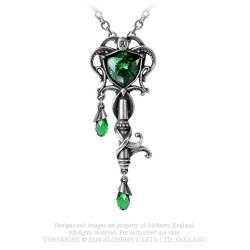 Two matching pewter pendants, one polished pewter, the other black pewter, of symmetrically opposite dragon's wings which, when held together create the shape of a heart; each on fine 18", (46cm), matching coloured trace chain. Two dragon-wing pendants, forming a perfect heart frame when held together.